And while I have been busy with some behind the scenes stuff that I can't share yet, I also have been around blog land a bit. 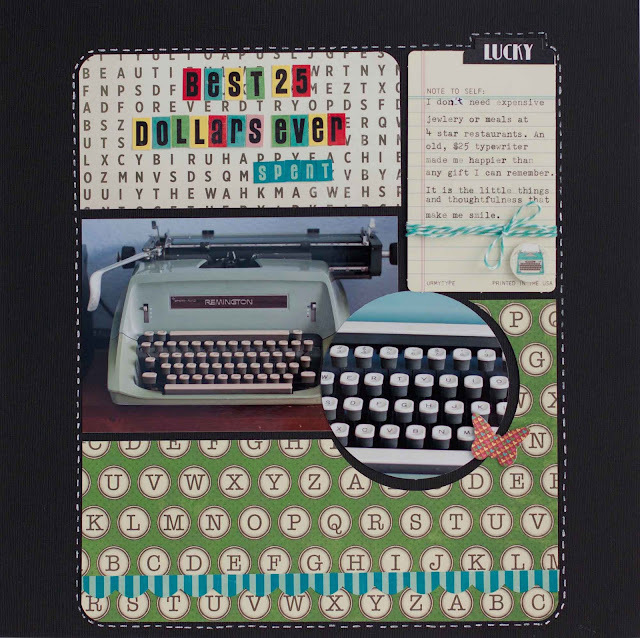 This layout (made with Scrapbook Circle's December kit Note to Self) was on the Scrapbook Circle blog the other day HERE. 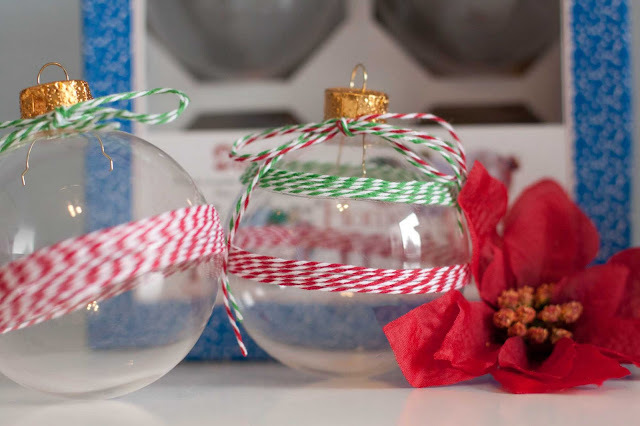 And these ornaments, made with The Twinery twine and Therm O Web SuperTape was on the Therm O Web blog HERE. your Lo about the typer writer couldn't be more PERFECT! and those ornaments... simply adorable! i may go give those a try. FUN! What a great kit to document your typewriter! I love mine too, use it all the time! totally agree I love the story here Rebecca! That typewriter is so cool. Good luck keeping up with everything! I love that layout!! So much fun. And love the ornaments, too. Anything with twine I am willing to try, I love that stuff. My ankle surgery has really forced me to slow down this holiday season. I've done alot of shopping online and things we normally would have done are on hold. I'm kinda liking the slower pace!